Talk N Text is very aggressive offering promos for almost all of your favorite social messaging apps. 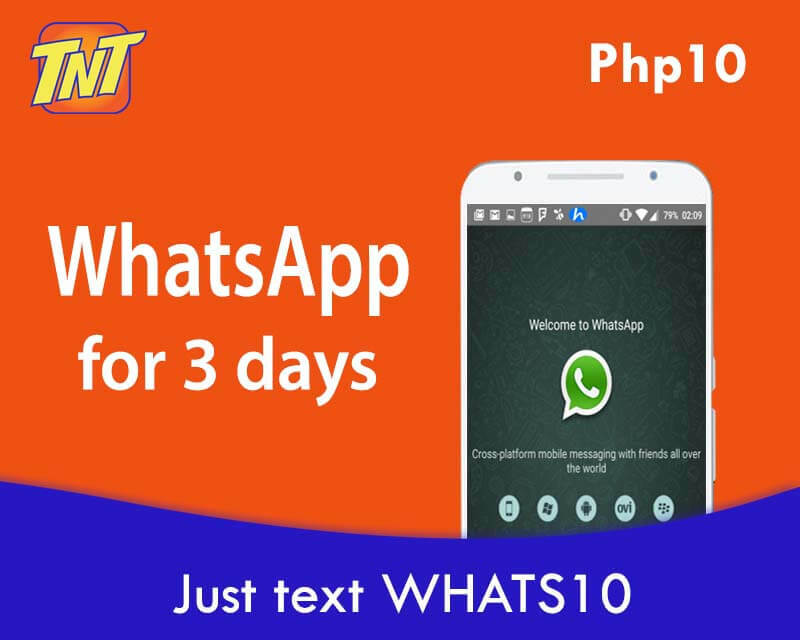 This includes WhatsApp messenger’s offer called TNT WHATS10 that gives you 3 days access to app for only 10 pesos. You can enjoy sending and receiving messages all day without worrying how much it cost to register again when the promo expires. Aside from WhatsApp offer, Talk N Text also has a huge list of Babad Apps that you can try out for a very affordable price. You also mix or combine (3) three apps in one package with their unique Choose Promo bundle for only 20 pesos up to 3 days validity. You need first to install the WhatsApp (iOS and Android) app on your phone, as this promo does not include internet access to the app store. Reload your TNT prepaid account with Php10.00 at your nearest loading stations, retailer and kiosk. Use the keyword format as your reference to avail this promotion from Talk N Text. Using your TNT prepaid SIM card, just text WHATS10 then send to 4545. How to use this promo? After a successful registration, you will receive an SMS notification from Talk N Text that says your WhatsApp promo is ready and active. Just turn your mobile data the open the app to start using it all day. Make sure you have a good signal reception to avoid slow loading of your incoming and outgoing messages.